A cosmetic dentist is an expert in enhancing the appearance of the teeth that show when you speak and smile. 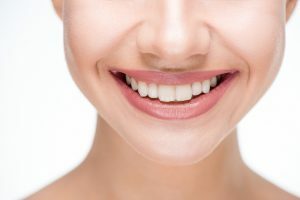 If you are unhappy with chipped, stained, or otherwise damaged teeth, there is a solution — and it just may come in the form of a smile makeover. This is a comprehensive approach that overhauls significantly damage. Keep reading to learn more about smile makeovers, including how they work and when one may be right for you. A smile makeover is a great way to love the way your teeth look again. It can include any number of general, cosmetic, and restorative treatments — as many as your trusted dentist deems necessary for your particular case. This comprehensive approach allows your dentist to tackle a complex set of issues in a single treatment plan, which makes the process more efficient and helps you to avoid having to wait for the transformation to occur in piecemeal stages over the course of several years. Because each smile is vastly different from the next, no two smile makeover treatment plans are exactly the same, either — and the procedures that are included on yours may be different from what you may have heard from a friend or colleague. You can find out just what will be included in your smile makeover when you schedule an appointment with your dentist in Temple. This is also a good time to ask for before and afters of past smile makeovers that they have performed! You are unhappy with the appearance of your smile but have felt that taking on multiple treatments would take too much time or effort. You have been told before that you require substantial cosmetic or restorative dentistry treatments. You frequently hide your smile in photographs or when speaking. You just want to love the appearance of your smile once again! A smile makeover is a great investment in your oral health — and in yourself. Don’t wait to get started with this comprehensive treatment option! When the smile makeover is complete and your brand new look is revealed, you’ll be so glad you took the time to make this change. The Fossum Dental Group offers comprehensive general, restorative, and cosmetic dentistry options for families in and around Temple. To learn more about the full smile makeover or to discuss your cosmetic treatment options in more depth, do not hesitate to reach out by calling 254-778-3900 today.